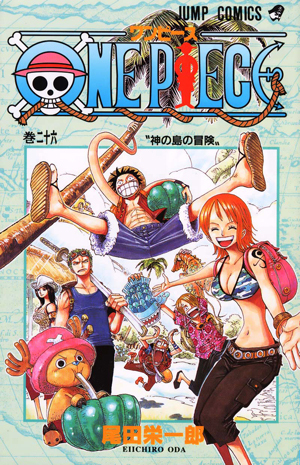 Watch anime online, streaming anime episodes you are watching One Piece Episode 349 English subbed online for free. Anime guide, One Piece Episode 349 English sub Luffy in an Emergency! The Living Place of the Strongest Shadow! After defeating Talaran and releasing his shadow soul from within, Brook explains to Robin and Franky the truth regarding the zombies of Thriller Bark, particularly of the manipulations of Shichibukai Gecko Moria and his using the Shadow Shadow Fruit to steal shadows for his zombie army. Meanwhile, Moria meets with the rest of the Mysterious Four (as well as the hidden Straw Hats in Bearsy) where he uses his powers to steal Luffy’s shadow, which he plans to use for his ultimate Special Zombie.